SOLD! Unfortunately this piano is not available for purchase anymore! Click to see our gallery of other Grand pianos & Used pianos. This Nippon Gakki 5"7 Grand has a matte black finish for those who are not a fan of the glossy nature of most polished ebonies. 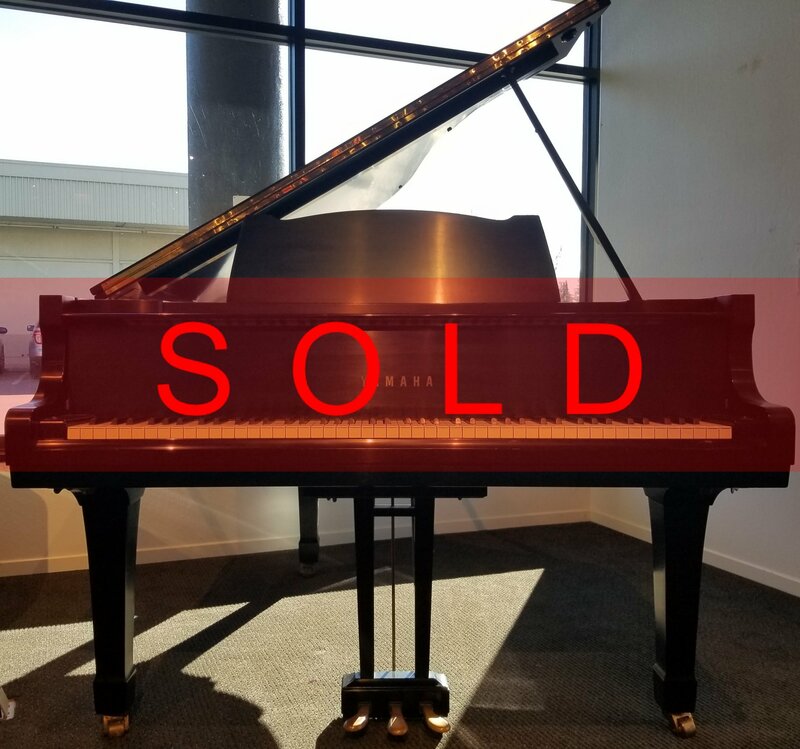 Yamaha construction and technical artistry have stood the test of time and proved that their pianos are a force to be reckoned with. This piano is a testament to that fact. Even though this piano was constructed in 1977, is still has impeccable tonality & style, not to mention how beautiful it is even after all that time. The main difference between a Nippon Gakki and a normal Yamaha piano is where they were constructed. Nippon Gakki is the original copyright and label of the Yamaha Corporation, established by Torakusu Yamaha in 1887. This piano was constructed in Nippon, Japan, before Yamaha moved their warehouse to Taiwan. The majority of their stock was ported from Taiwan. Nowadays, it's mostly shipped from China & Indonesia, but all of their high end instruments were, and still are being made in Japan. Therefore, it is understood that any instrument with the tag "Nippon Gakki" has an intrinsic value to it simply because of where it was made. So when you buy this piano, you are buying a piece of history. Come on down and see if it's right for you.